I identify as a “Skitter” and am currently working with a specialist to make the physical transition. I hope you will all accept me when the man you once knew sports extra legs, antennae, compound eyes, and is highly attracted to your poop. Oh… and you will be required to speak bug as I won’t know English anymore. That was Bug. Yeah, my accent is a bit Chicagoan. P.S. 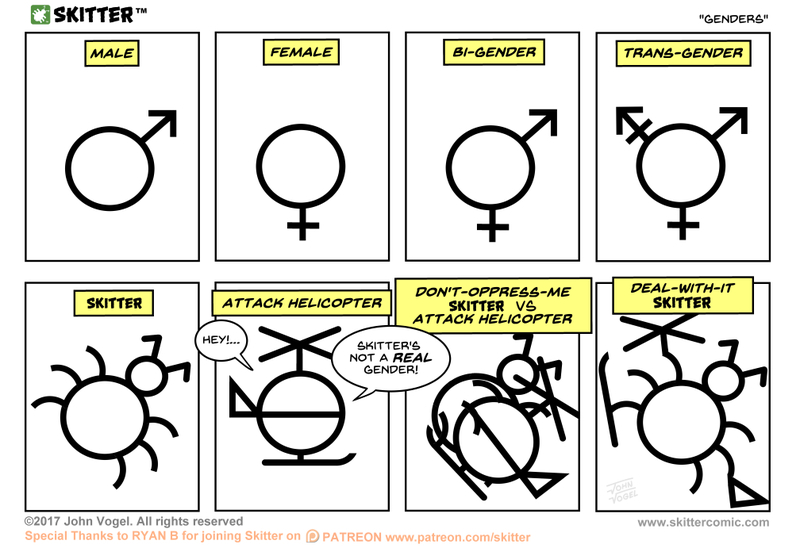 “Attack Helicopter” is a real gender.